She co-wrote only a few songs, but several of them have become jazz standards, notably "God Bless the Child," "Don't Explain," "Fine and Mellow," and "Lady Sings the Blues." She also became famous for singing "Easy Living," "Good Morning Heartache," and "Strange Fruit", a protest song which became one of her standards and made famous with her 1939 recording. Billie Holiday began her recording career on a high note with her first major release "Riffin' the Scotch" selling 5,000 copies. The song was released under the band name "Benny Goodman & his Orchestra." Most of Holiday's early successes were released under the band name "Teddy Wilson & his Orchestra." During her stay in Wilson's band, Holiday would sing a few bars and then other musicians would have a solo. Teddy Wilson, arguably the most influential jazz pianist from the swing era, accompanied Holiday more than any other musician. 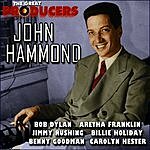 He and Holiday have 95 recordings together. In July 1936, Holiday began releasing sides under her own name. 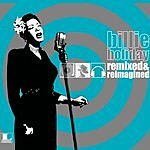 These songs were released under the band name "Billie Holiday & Her Orchestra." Most noteworthy, the popular jazz standard "Summertime," sold well and was listed on the available pop charts at the time at number 12, the first time the jazz standard charted under any artist. Holiday had 16 best selling songs in 1937, making the year her most commercially successful. It was in this year that Holiday scored her sole number one hit as a featured vocalist on the available pop charts of the 1930s, "Carelessly". Holiday's version ranked 6 on the year-end single chart available for 1937. On October 24, 1942, Billboard began issuing its R&B charts. Two of Holiday's songs placed on the chart, "Trav'lin' Light" with Paul Whiteman, which topped the chart, and "Lover Man", which reached number 5. "Trav'lin' Light" also reached 18 on Billboard's year-end chart. Billie Holiday was posthumously inducted into the Grammy Hall of Fame, which is a special Grammy award established in 1973 to honor recordings that are at least 25 years old and that have "qualitative or historical significance."